The Vikings are back with a new winning streak after taking down Saratoga 5-0. Marcus Ama (‘20) has been on fire recently scoring two goals, only missing one header on the post this game. His teammates Jason Shorin(‘19), Kenzo Morabia(‘19), and Francisco Moll(‘20), also all put in some fast shots. “ Marco made a really good pass, and then I put it in” Shorin(‘19) said. The vikings started fast making four shots in the first half, Morabia himself ran 50 yards passed three defenders and assisted to Ama(‘20) for one of his shots. 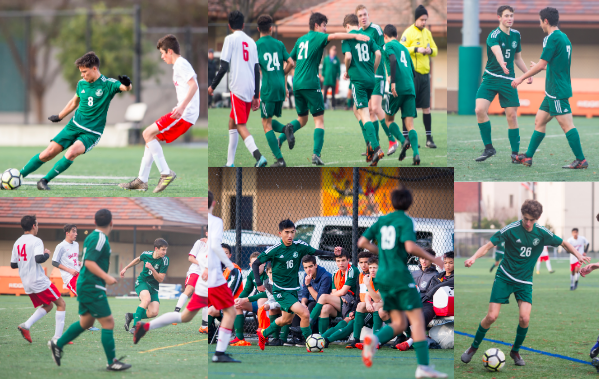 Paly’s fifth and last shot was scored in the second half, Saratoga really stepped up their defense from getting scored on four times in the first half. However on the offensive side, Saratoga was lacking, failing to get any shots for their scoreboard. They did make one goal but the referee did not give it to them because of an offsides call. The game was a good one for the Vikings, but Saratoga evidently was not able to perform as well as they wanted to getting two red cards due to frustrations against the referee. As CCS is approaching the team is buckling down, and keeping their third place spot is going to be tough. They have a couple more games left down the road, and the pressure is really on the boys who have not won a CCS title in 10 years.